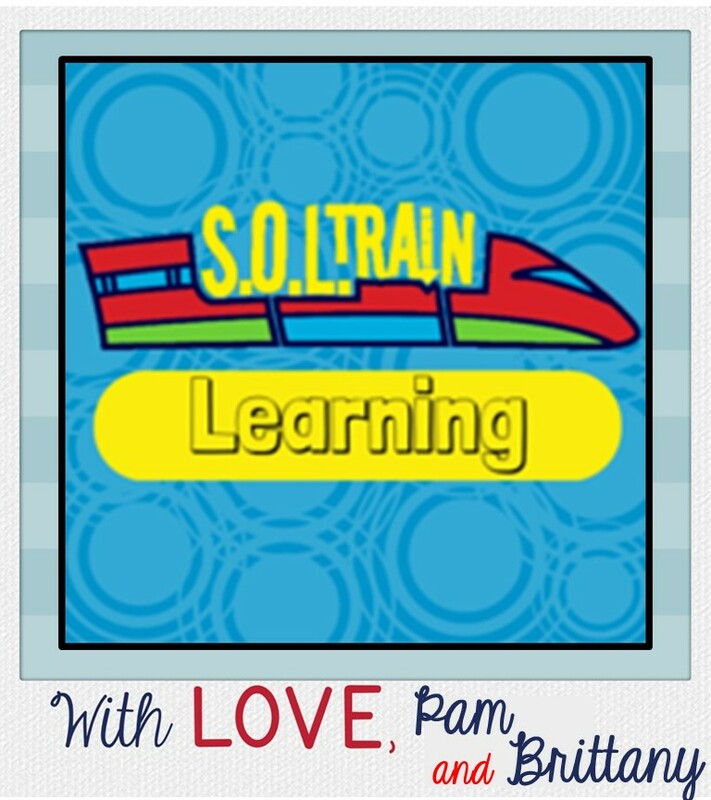 We wanted to take this opportunity to share a little bit about our Word of the Day resources. 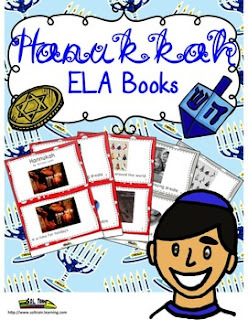 These resources are a great way for your kids to learn important, relevant, seasonally appropriate vocabulary for each month. December is a perfect month to give this great program a try as it is solely focused on holidays around the world. 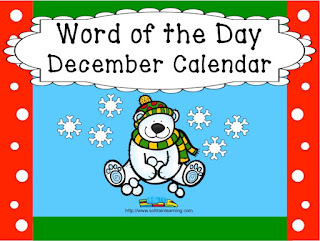 The first resource we want to introduce you to is our Word of the Day calendar. 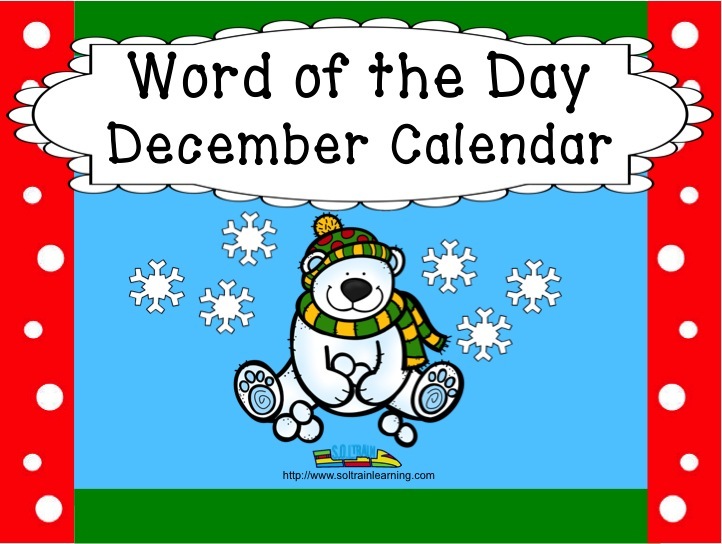 These calendars are an awesome resource because they provide a word of the day, interactive student calendars, and a daily math pattern. 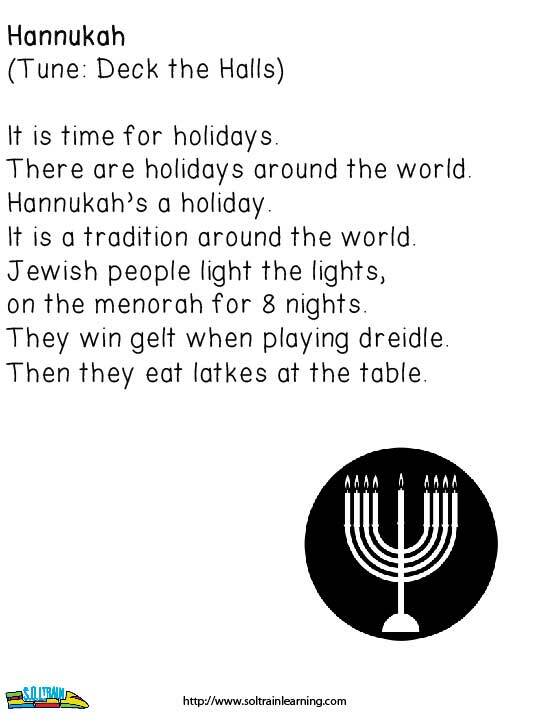 Days 3-9 are all about Hanukkah. 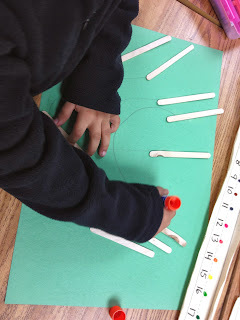 I drew a menorah on the board for the students to copy on their green construction paper. Then they glued popsicle sticks for the candles. Another great word of the day product is our concentration game. 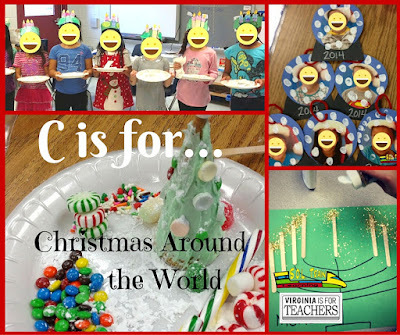 A fun, inexpensive way for your kiddos to learn more about holidays around the world. Click here to buy it now! 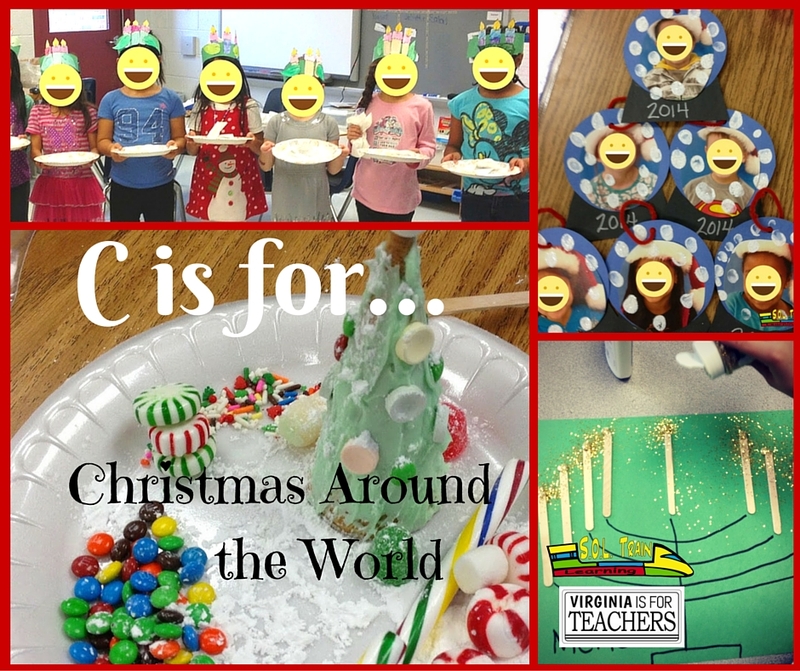 We have lots more great resources for holidays around the world that you can check out here. For your students: St. Lucia's Day is on December 13 and celebrates Saint Lucy, the patron saint of Sweden. The girls all dress in white and wear wreaths with candles in them. They serve cookies and other treats to their families. One traditional treat for St. Lucia's day is saffron bread. Boys wear white hats with stars that are appropriately named "starboy hats." This holiday is meant to bring light in the darkest time of the year. Las Posadas is a holiday that started in Mexico. It is now celebrated in Mexico, Guatemala, and a few other South American countries. The celebration is a time to remember the birth of Jesus and the journey Joseph and Mary took to find a place to give birth. In spanish, "Las Posadas," means "the inns," which didn't have room for Joseph, Mary and Baby Jesus. This holiday is celebrated from December 16-24 with parades, piñatas, and other festivities. Each night a child dresses as an angel and leads the parade through town. They stop at each house and are refused lodging until they reach the end of the procession. The poinsettia is a flower used for decoration during Las Posadas. Christmas is a holiday celebrated around the world in many different ways. It began as a way to remember the birth of baby Jesus and grew into many different traditions. Many families have a Christmas tree that they decorate with ornaments. 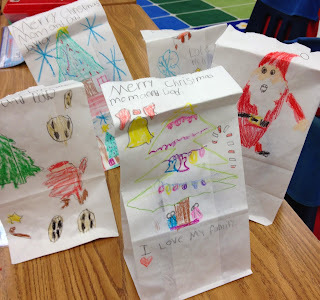 Kids hang stockings for Santa to fill and he leaves presents under the tree. Families also give presents this time of year. Lots of people like to eat candy canes and bake cookies for Santa. 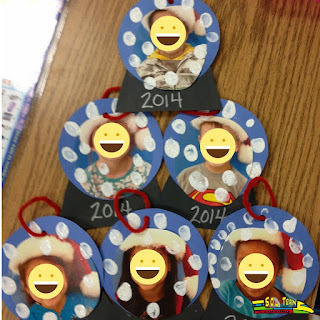 We had so much fun decorating sugar cones to look like Christmas trees. You just color white can frosting with green food coloring and frost a sugar cone. The students also created a snow village on the plate. We used powdered sugar for snow. These are just a couple examples of the finished products. This is so much easier than the gingerbread houses! You can use teddy grahams or gummy bears as villagers. You can also make candy sleds to go on the plate and marshmallow snowmen! Kwanzaa is a holiday celebrated by African-Americans around the world. Families celebrate from December 26-January 1 and they focus on seven principles: umoja(unity), kuji-chagulia(self-determination or working hard), ujima(working together and being responsible), nia(purpose), kuumba(creativity), imani(faith). Families have a kinara with 3 green candles, 3 red candles, and 1 black candle. All gifts are handmade to symbolize the labor of the parents. 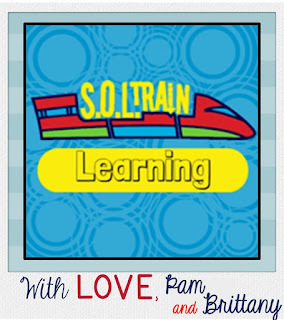 Have your kids pair up and make gifts for one another. This is a nice way to celebrate unity. 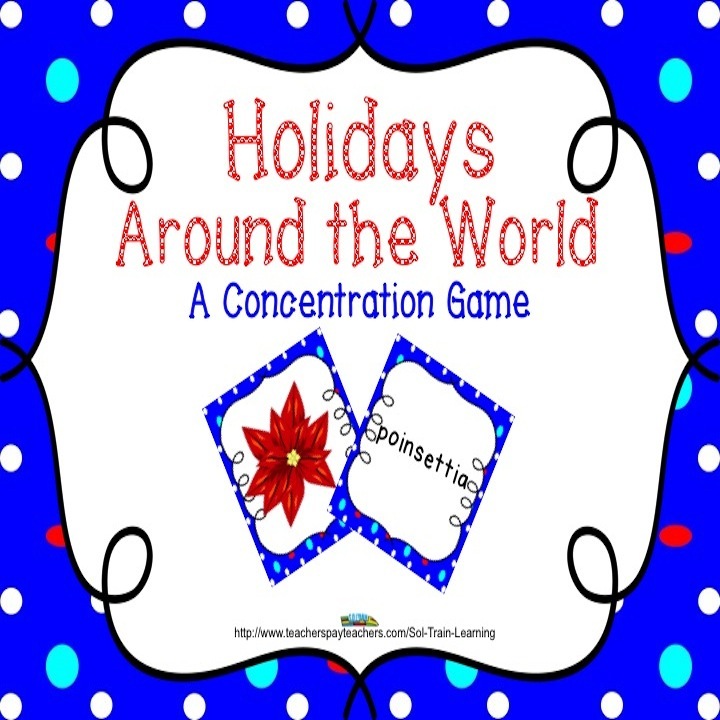 As a bonus, we also have a Holidays Around the World poem freebie for you. Hope your kiddos enjoy it!